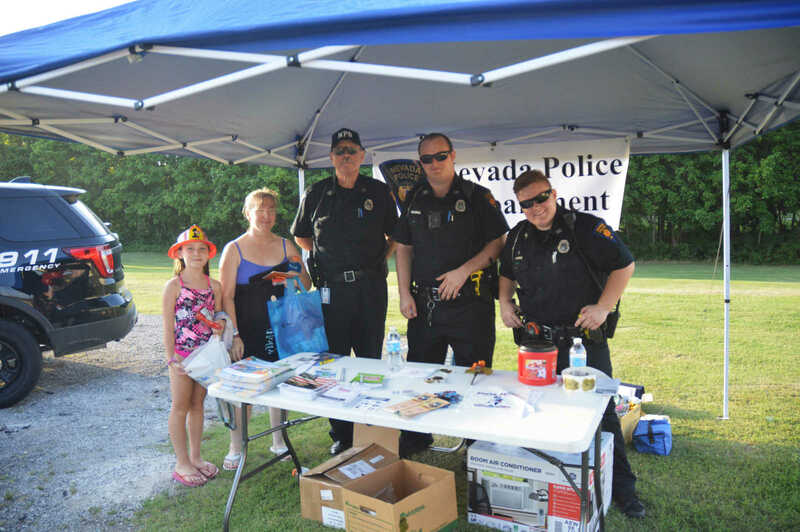 Lilith Mygan and Pamla Scholes visit with Jens Barclay, Landon McDaniel, and Amber Williamson of the Nevada Police Department during National Night Out Tuesday evening. 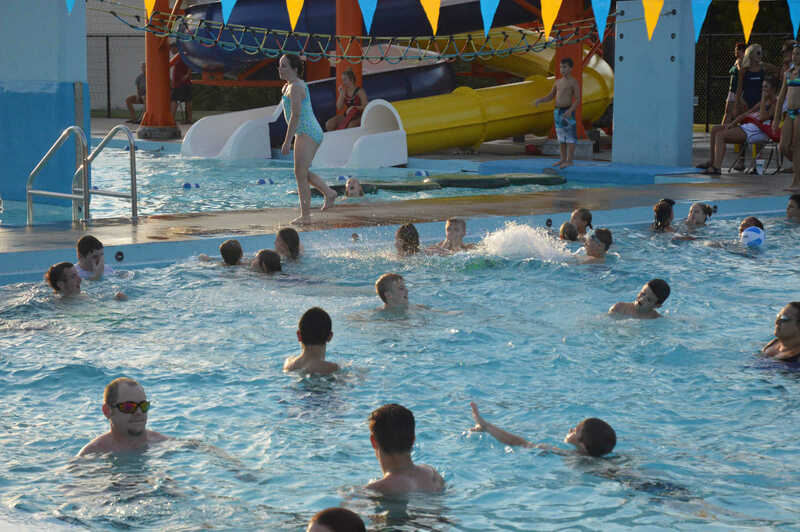 The Nevada Police Department worked with the Nevada Park and Recreation Department, other law enforcement agencies, groups and individuals to host the swim party at the Walton Park Aquatic Center. 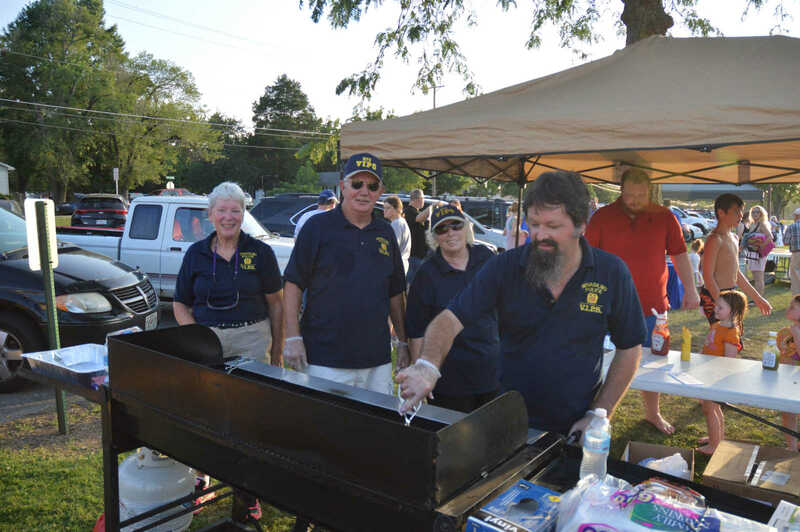 Diane Krall, Frank and Pat Arnold, and Kendall Stroer donated their time to grill free hot dogs for those in attendance at the 33rd Annual National Night Out. 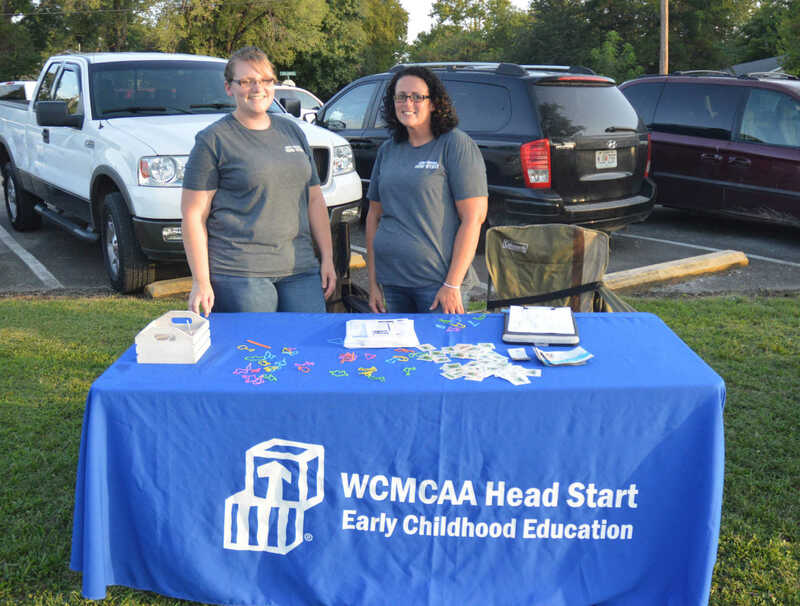 Laci Brown and Crystal Miller, of WCMCAA Head Start, gave out bracelets and stickers to those in attendance at National Night Out. 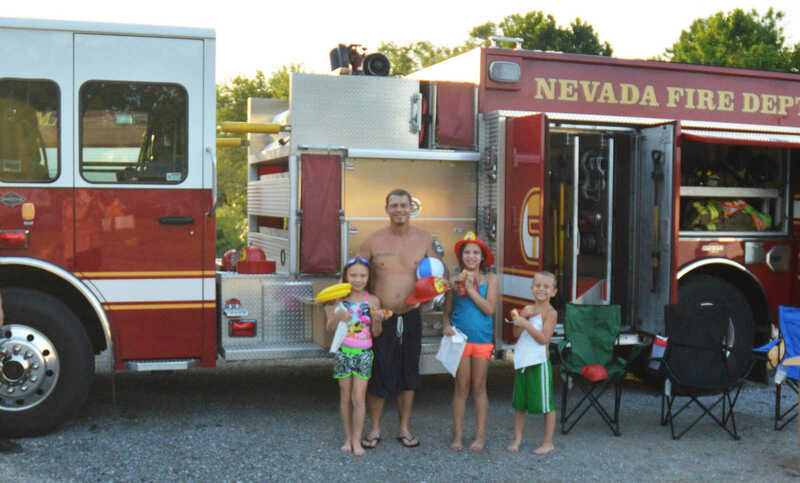 Joslyin Woods, Glen Collins, Bambi Purgursen, and Jonathan Collins take a break from swimming to visit with members of the Nevada Fire Department at National Night Out Tuesday evening. 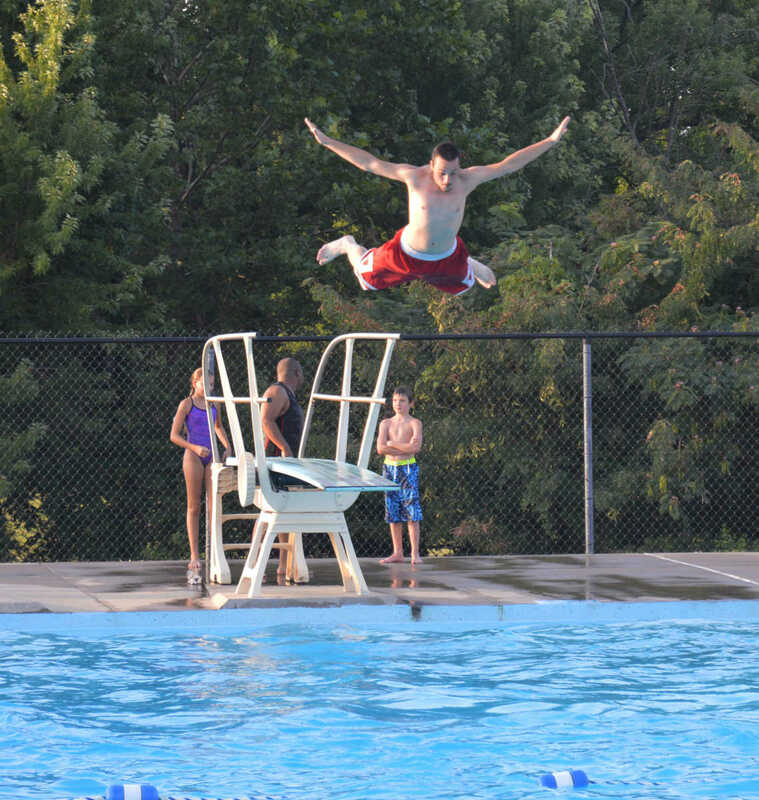 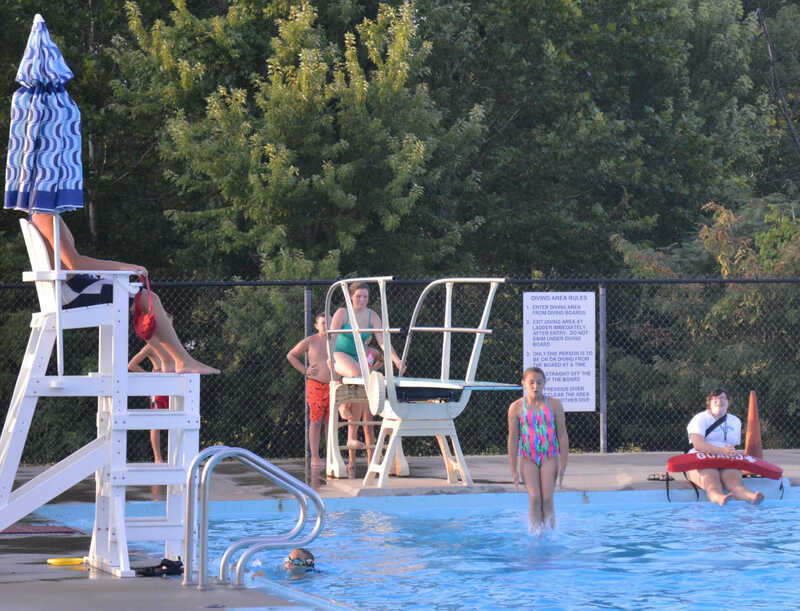 Event attendees lined up for their turn at the diving board Tuesday evening at National Night Out. 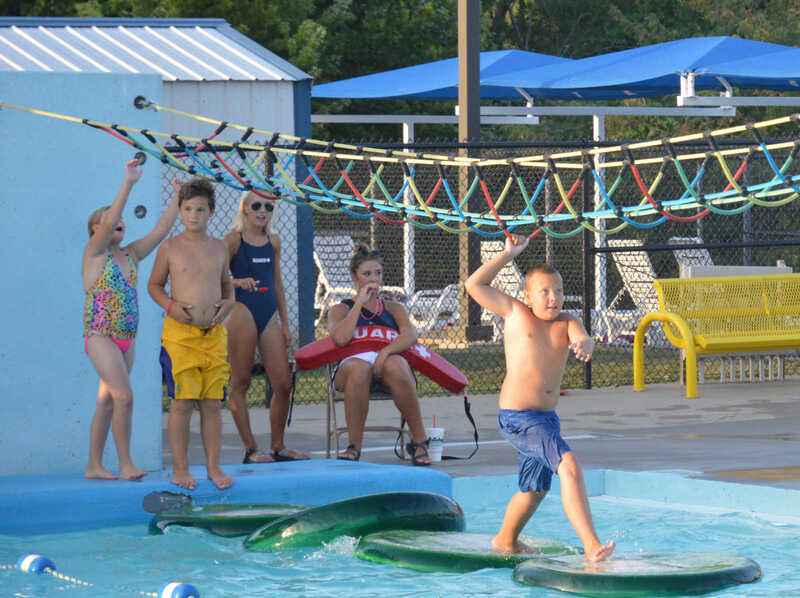 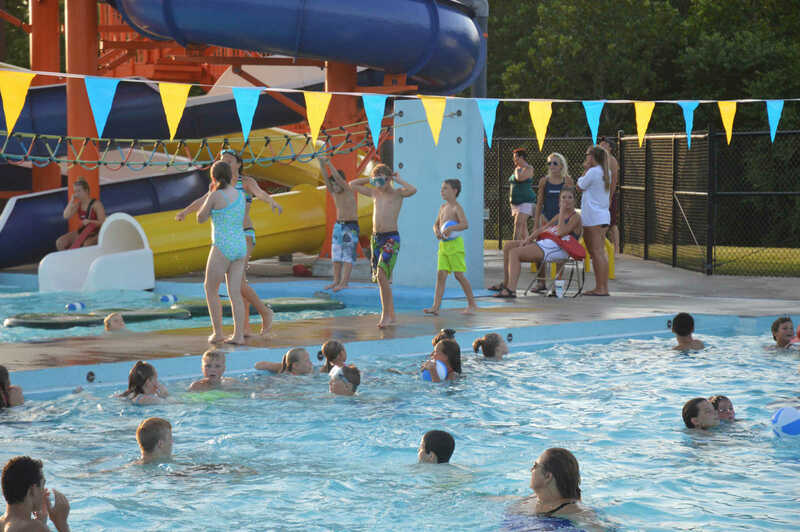 Some of those attending the nationâ€™s 33rd National Night Out crime and drug prevention event Tuesday evening enjoyed the free swim party at the Walton Park Aquatic Center.